It was in 2012 that you ran your first ultramarathon in Bengaluru. 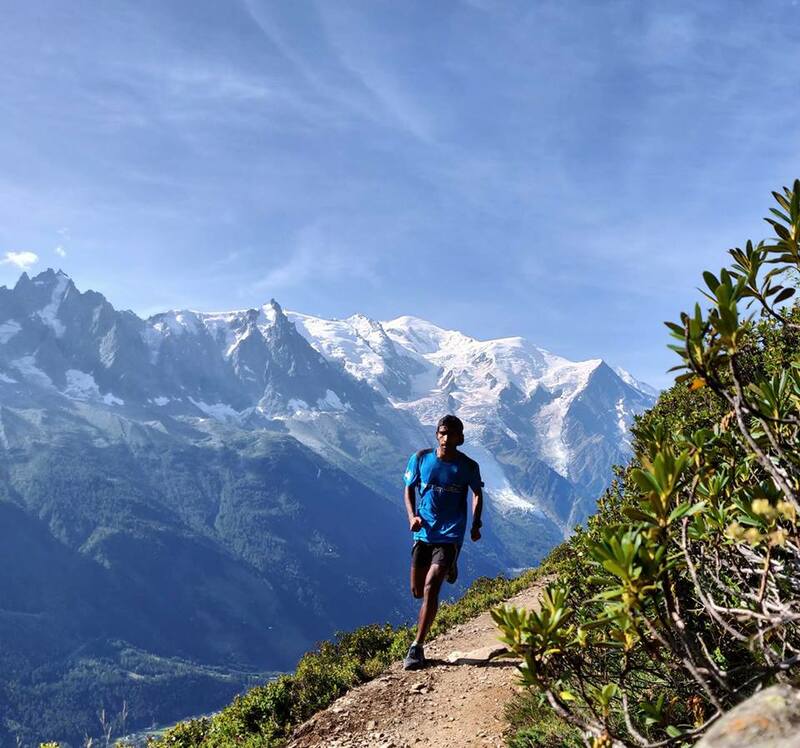 Roughly four years later in Leh, by the time you won the 111 kilometer-category of La Ultra The High in 2016, you had begun setting yourself up as a full time runner; someone hoping to provide for oneself through running. How has the journey been so far at a personal level and in terms of supporting yourself financially? As a journey it has been perfect. I don’t wish I was doing anything else. I resolved to run full time in 2014; I got around to doing so in 2015. Every day has been a blast. I don’t remember having so much fun. That way it has been brilliant. As regards the goals I had set for myself – it has been slow but consistent progress. I am not where I want to be yet, but I am climbing up the ladder. I wish it were faster, though. On a financial level – a life of this sort has meant a lot of work. There is a lot of running around, a lot of approaching people and a lot of disappointments. You have to work with people, companies and brands. I understand that I have to work with them and I was mentally prepared for it when I started this journey. It has been a lot of hard work and definitely not the easiest thing. Did you have a full understanding of what making a career of running entails, when you embarked on this journey in 2014-15? Did I know that it would be hard to make money? Yes, I knew that. Did I know it would be so hard? I did not know that. It’s been a lot harder than what I thought, I guess. There are some similarities in what companies are looking for, but essentially every company looks for something different. Even people within companies look for different things. It is not the easiest to reach out to people. Finding the right contact is tough. Everything has been a process – from learning who to reach out to and having them respond to you. If I get a reply from some of the people I got in touch with, I am most excited. It may not even materialize into anything but just getting response; sometimes those are the most exciting things. Most of these exchanges – 99 per cent of it – don’t convert into an association. But having said that, the fact is – I need to do this. Nobody else is going to do this for me. We are right now at the expo preceding the 2019 Tata Mumbai Marathon (TMM). If you keep aside the elite foreign athletes attending the race and you look at the Indian elite – most of them; are gainfully employed with one organization or another. Then there are some from the amateur category who race because prize money complements earnings from other sources or in some cases, is the only source of livelihood they have. 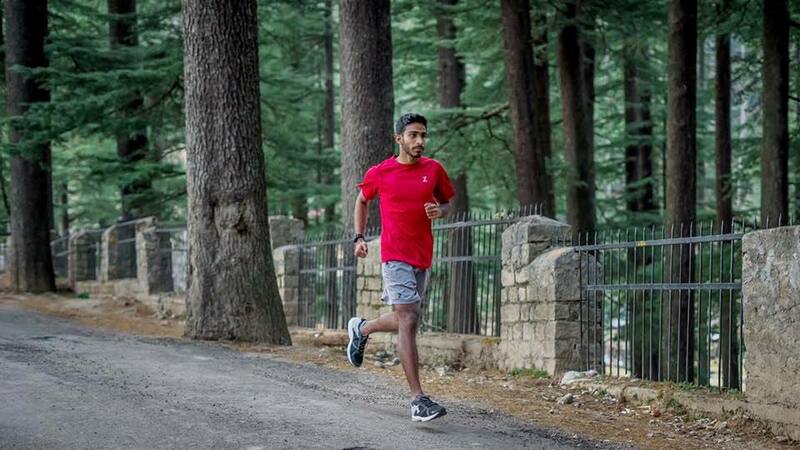 In India, you don’t yet come across athletes who consciously run full time for livelihood or support themselves completely through running’s ecosystem. That’s one thing I tell others – I can think of very few people who are living off only running. I mean there are the elite athletes but they are usually working with the armed forces, railways or the state-owned oil companies. They are supported by these organizations. That makes the choice I made tough, but I am okay with it. There is the conventional logic that if you have a hobby you like, then you support it with earnings from some other source. There is also the argument that if your hobby – or an activity you genuinely like – becomes your source of livelihood, then it starts losing the fun originally associated with it. Have you ever felt so? No. Like I said – last four years of doing this, I never thought on any day that I should be doing something else. I can’t think of sitting at a desk right now. I live in Manali and I love getting out every single day. I was talking to a friend a little earlier and he was saying that when I get back, it may be snowing and there won’t be much running I can do. It does not deter me. I will probably pack a bag; wear my boots and hike six hours every day. I don’t care. I love to get out. At the heart of it what I enjoy is – getting out and moving. Running is the simplest way of supporting it; it is accessible to me everywhere. To labor the point a bit more in the interest of clarity – conventional Indian logic encourages you to secure yourself first and then take your chances. Are you the sort who believes that the chances must be availed first, security will follow? I guess I was born with the spirit of adventure and running is taking me there. Back in 2013 -14, the running circle I was in had a lot of people who were in their thirties, forties and fifties. Even today many of my friends are much older than me. From their ranks, there were those quitting jobs – good corporate jobs – and getting into other things that interested them. When I thought of taking on running full time, I was at a cross road – either do it now when I am 21–22 (his age then), when I have fewer responsibilities and can take such risk or wait till I reached 45–50, which was 25–30 years away. I was not very keen to wait till 50. Maybe I would have got married, had children and got everything sorted out; but by the time everything gets sorted out, I would have also been way older. I had worked for a year before I made my decision and I knew I wouldn’t last at a desk job. I also did not want to become old and then look back and regret not having done what I wanted to. The assurance of security was not there when I made up my mind, but then I had to take the plunge – it was not a blind one, the future looked blurred, but I knew where I wanted to go, so I took the plunge. The ultramarathon used to be associated with the older lot of runners. Now you have a lot of young runners entering the sport and they are setting new standards of performance. In your travels overseas you would have met some of these young runners, who like you, are into the sport full time. When you compare the ecosystem of support they enjoy and what you have here, what are the elements missing? There isn’t a clear, black and white answer for this. In places where the sport and sporting culture is more established, there are a lot of other things – there are running stores, cycling stores; people can work in these kind of stores, you can avail coaching at colleges, schools etc. So there are ways to make money off the sport. If you are really good there are people who get sponsorship. I think we lack this ecosystem here. We have few running stores still in India. There is a big difference between how stores here and overseas work; there is difference in the operational style of running communities too. I don’t think a runner here goes to a running store to pick up a shoe. They will probably ask another runner. Slowly all that is changing; the opportunities are opening up. At the same time, it would be incorrect to assume that the going is easy for runners overseas. It is hard work for them too. Within the world of running would you say the ultramarathon is among disciplines that are hard to find sponsorships in? It is a much smaller sport than road running. However, there is more sponsorship available now than before. The sport is growing. At the end of the day, people are going to notice only the performance – typically the time a runner took to cover given distance. How you got there, whether you ran full time or part time, recedes in relevance. How does your choice of running full time then justify itself? Because I am running full time, I have lot more at stake. I approach every race, very seriously. I don’t take any race for granted. You won’t see me going and doing a fun run or racing just for the heck of it. I plan things out because every race matters for me. Every race counts. In the grand scheme of things, when you are looking at performance, every race counts. When I am running I think about all this. When I fare badly, it definitely goes through my head. When I do well, it goes through my head. When you are not doing well and you have all this at stake, you have to control your thoughts and be in the moment. When you are doing well you can’t be just flying as well. You got to be in the moment. The things at stake prompt me to work hard. Still, I also slack off. But I don’t like it; I hate slacking off. The structure I work in adds a lot of pressure, most of it – me putting it on myself. None of this is however a burden on me. I enjoy getting out and doing it. You have participated in ultramarathons overseas; you have also been to the world championships. How do Indian runners compare with talent overseas? What are the specific ingredients missing when training here? I won’t be able to talk about specific ingredients because as runners, we are all different. But in general, in the sport we are way behind where the rest of the world is. For me personally, every race has been an opportunity to learn. Specifically about you: what is the catching up you require to do? I am still behind the winners, right? So – what is it that I must do to get faster? Getting faster – that is the basic thing. Are you your own coach? I have always been my own coach. I did train with Pace Makers for a year or so. But other than that I have been on my own. Probably that is also one reason why my progress has been slow. Maybe it would have been faster if I worked with a coach. But I don’t think we have a coach in India who can help me with trail running or ultra-running. The people you could work with are online. I am not excited to work with someone online. I interact with a lot of runners and discuss my training with them. If I feel I need to, I then make adjustments to the training plan accordingly. I was also working a lot with Henrik Westerlin, discussing my training plan and following some things he had shared with me last year. We have the problem of the urban paradigm with its traffic, pollution, people and congestion, sparing no part of this country for long. Even Manali has changed over the years. Do you think you may have to shift elsewhere to train; maybe even move out of India? I lived in Europe for a few months last year. The thing I miss the most in India is the company and the quality of athletes I got to train with overseas. The congestion aspect – I can work around it. Particularly because I am in Manali; if I was in the cities it would have been a different case. In Manali, I stay clear of the town. If I ever move out of Manali it will be to avoid the growing congestion but that thing about company – that will still be missing.